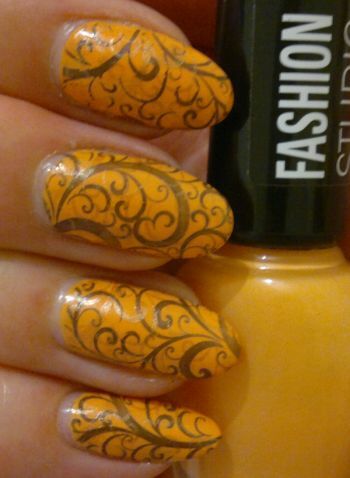 Hi there! 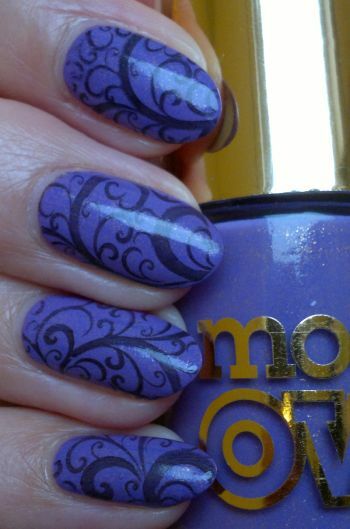 Today’s post is about a new version of a mani I did not too long ago. 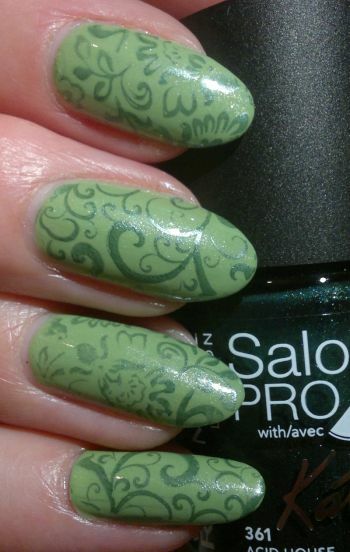 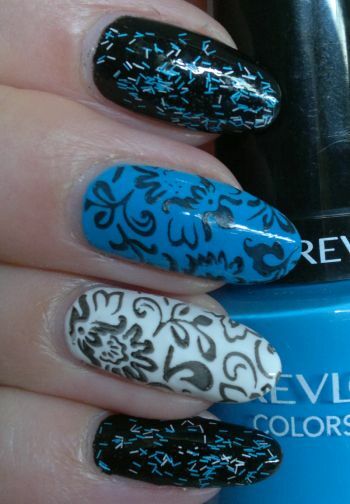 Anyhoo… today I tried to do something new – double stamping. 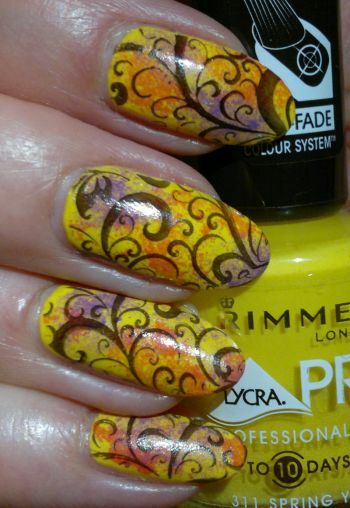 So I stamped 2 layers of colour onto my base colour. 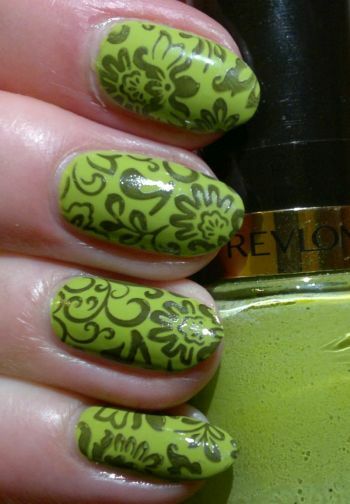 I used Rimmel 60 Seconds 820 Hot Black To Go and Revlon Parfumerie Beachy. 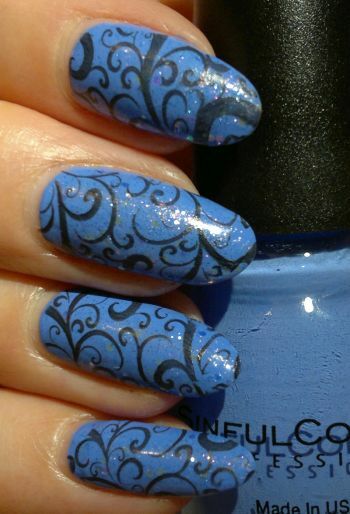 The stamping plate I used is Pueen’s 74 plate which is part of Pueen’s Buffet Leisure stamping collection.